Who would dare to say that Mozart is Vintage? No one, right? Then, why calling classic synths that way? We love the sounds of the classics, and we know you love Massive! So here they are!!! 4 brand new Classic sounds emulations for massive + a bonus preset. We’ve got that big 70’s Pedal Bass we all love, of course we’ve got our nice and aggressive Mini Lead (including fixed 5ths from macros), and from the beloved P5 we’ve got the classic P5 Brass and the P5 Sync Lead, enough to go back to the synth’s golden years and unleash your 21st century creativity!! 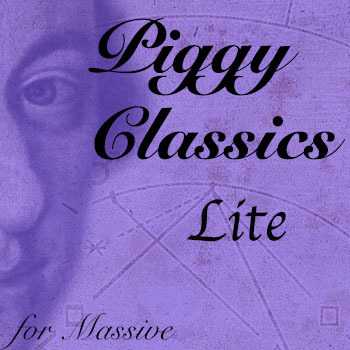 All sounds except drums coming from NI Massive Piggy Classic Presets. No external processors or effects, just a bus compressor on master channel.